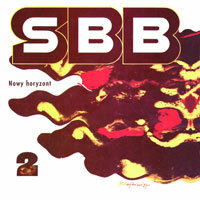 Re-edition of the record described by SBB musicians as a New Horizon? The material was created in mid 70?s of the past century and was a confirmation of the esteem earned by the band during their shows in various places in Europe. The album contains compositions fulfilled with verve and freedom. Chopin?s e-moll prelude is an exceptionally interesting part of ?Nowe Horyzont?. New digipak edition includes four previously unreleased bonus tracks taken from the archives of the Polish radio stations. SBB is with no doubt a legend of Polish music scene.